There she is, the Seishin na Goei... We are very happy with how she's come out, what do you reckon? Also check her out at around 1:20 in this video. Bushido will be happily heading northwards next Saturday the 12th for an action packed day full of demos at Total Wargamer. Can you come along? Let us know in the forum here. We'll be bringing our demo boards and studio paint jobs with us, so come along and have a look, a demo and a chat. If you've never been before what a perfect time to check out a great store and make some new friends. Well, needless to say we've been absolutely thrilled by your generosity and support over on indiegogo.com/bushido. It has flown up over the halfway line faster than we could have dreamed of, so thanks to all of you so far, those that have backed it, those that have shared it, liked it, talked about it. I can almost imagine the Ito marshalling their troops and crossing the Silver strait for Ryu (but would the Ito ever dare a frontal assault, on the seat of power of the Jwar Isles?). Lets not rest half-way there though, help us to push on, lets get to $5000 ASAP and start talking about other cool stuff!!! Also look out soon for a completely free and very cool addition to the existing Ito perks, a thank you for your ongoing support (we think you're going to love it). Ashley Fletcher is this week's facebook giveaway winner. 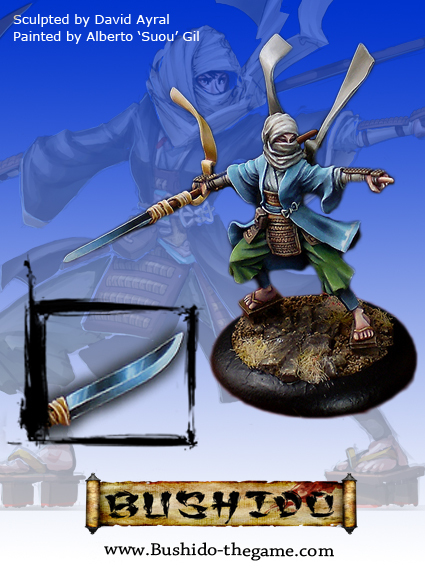 Post your forum username on Facebook before Sunday evening to claim your £5 of bushido vouchers.